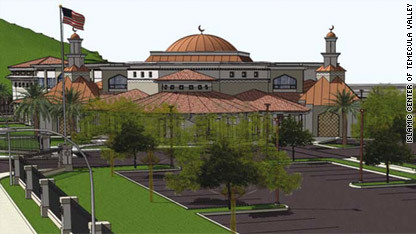 An artist’s rendering of a proposed mosque in Temecula, California that has met local opposition but is supported by the Anti-Defamation League. When the Anti-Defamation League – a leading Jewish group devoted to fighting anti-Semitism and “all forms of bigotry” – came out against the construction of an Islamic center and mosque near New York’s ground zero last year, some critics alleged that the organization had lost its way. « What do you think of this approach to worship?